Spectacular original sticker of this classic Italian motorcycle. Perfect for those that love this motorcycle! Recreate a trip through the crazy streets of Rome with this iconic urban Piaggio motorcycle. 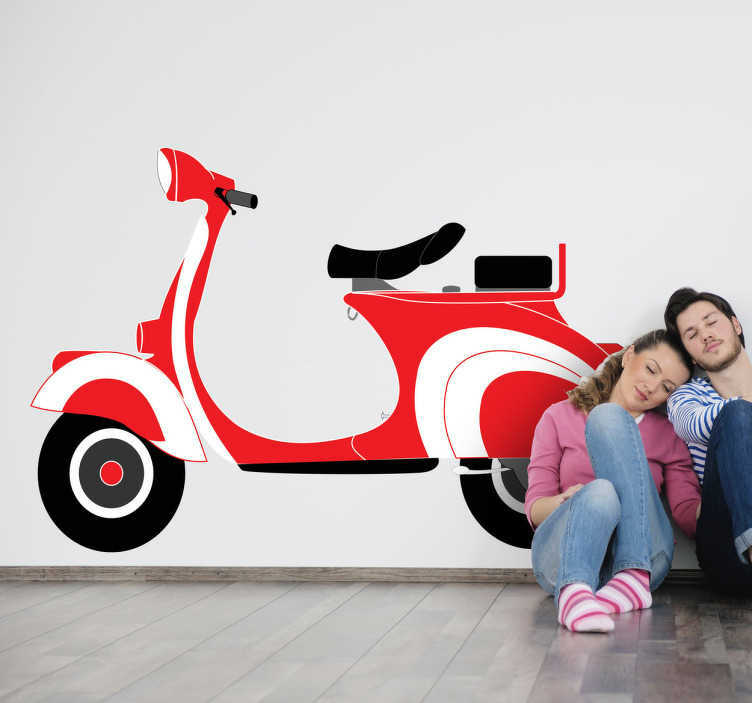 Vespa wall sticker designed for those fans to drive this fantastic and timeless scooter that has even become an international cultural reference that transcends borders. You can choose the colors that suit or match your home, simply tell us in the comments section of the checkout page.